I don’t like boring sandwiches. I pack my lunch to work most days, but I rarely ever pack sandwiches because they’re either too plain or too soggy. When I do eat a sandwich, it’s typically a grilled panini with flavorful toppings. Sabra has re-ignited my love of panini sandwiches with their flavorful new spreads! Sabra’s zesty spreads bring life to otherwise boring sandwiches. These healthy spreads will be my go-to sandwich topping in place of mayonnaise. They have 75% less fat and waaaay more flavor than plain ol’ mayo. The flavorful blend of garlic, basil, chives, and oregano in the Garlic Herb Spread inspired me to create a dairy-free panini sandwich! If you happen to be lactose intolerant, you won’t even miss the cheese. A zesty dairy free grilled sandwich with garlic herb hummus spread. Heat a grill pan over medium heat. Brush olive oil onto one side of zucchini strips. Place them oil side down on the hot grill pan and brush olive oil on the top side as well. Carefully flip after about 2 minutes, or when grill marks form. Grill for 2 more minutes and set aside. Cut the naan bread in half, place bumpy side down, and spread 1 tablespoon of Sabra Garlic Herb Spread on each flat half. Layer roasted red pepper strips, shredded chicken, and grilled zucchini on one of the naan bread halves. Top with the other naan bread half. Brush the grill pan with olive oil and carefully transfer the sandwich onto the grill pan for 2 minutes. Brush olive oil on top of the sandwich and carefully turn it over using tongs. Grill for 2 more minutes. My husband, who prefers a cheesy quesadilla for dinner most nights, agreed that this sandwich is delicious and he didn’t even miss the cheese! Of course, a little bit of crumbled feta on here would be heavenly. Have you tread the Sabra Spreads? What do you think? Check out the posts in the Recipe ReDux linkup below for more sandwich inspiration! I eat this amazing breakfast sandwich at least 5 days a week. 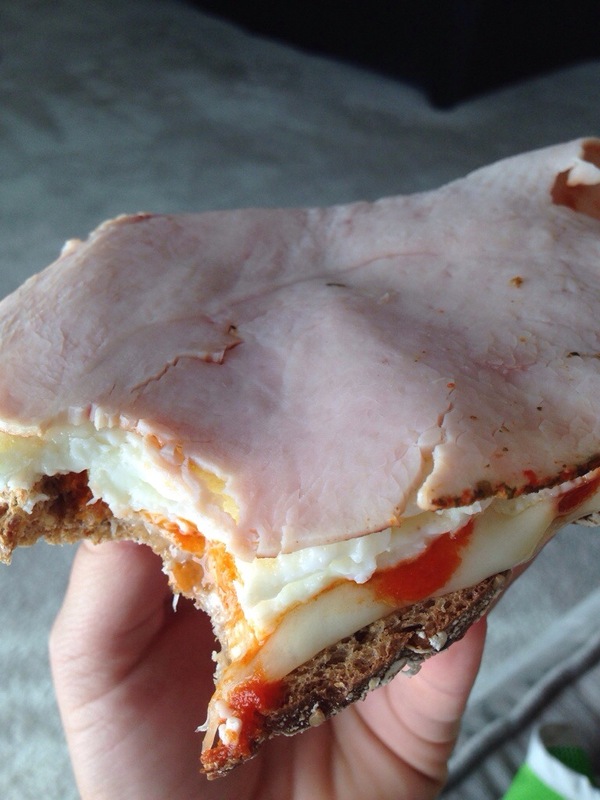 It’s unbelievably satisfying for a open faced sammy! Once you get the hang of making it, you’ll be able to enjoy it with only 5 minutes of prep time. 1. Start by placing bread in a toaster oven and heating a nonstick frying pan over medium high heat with a light mist of cooking spray. 2. 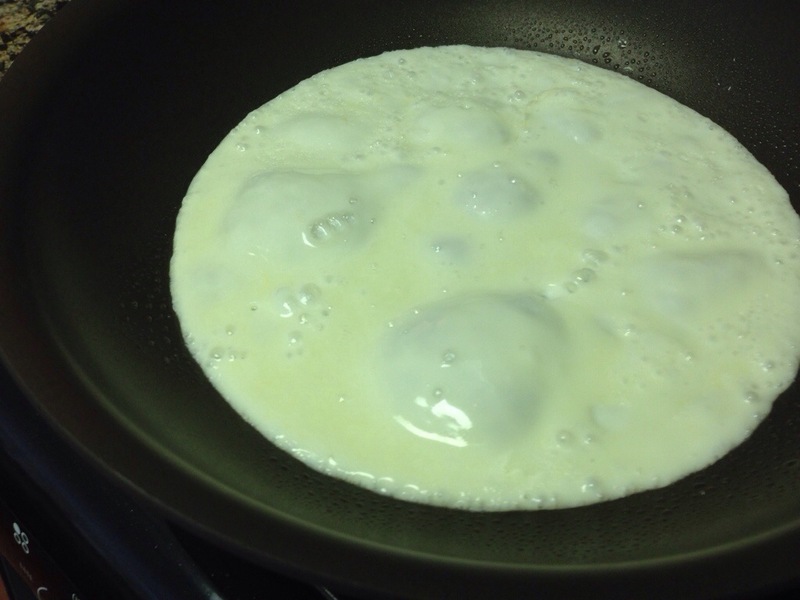 As the pan gets hot, add the egg whites to it. 3. 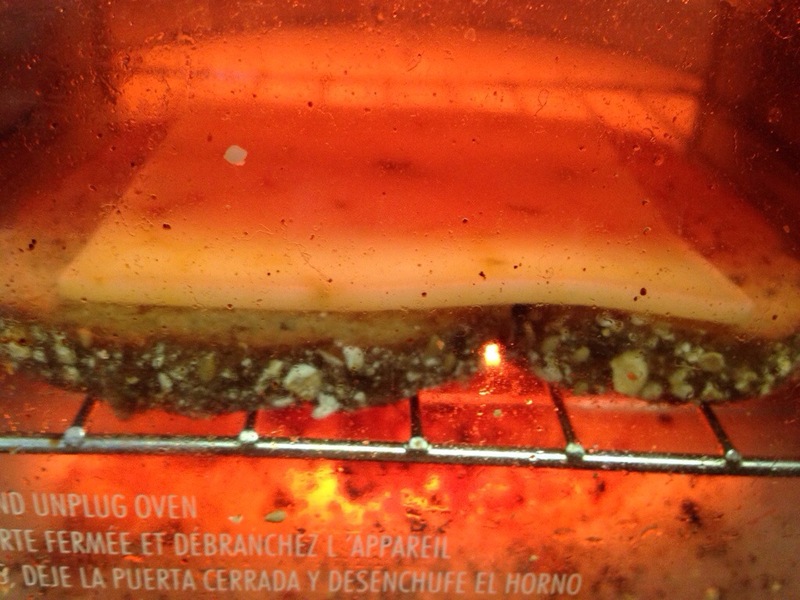 Immediately place a slice of cheese on the bread in the toaster oven. 4. 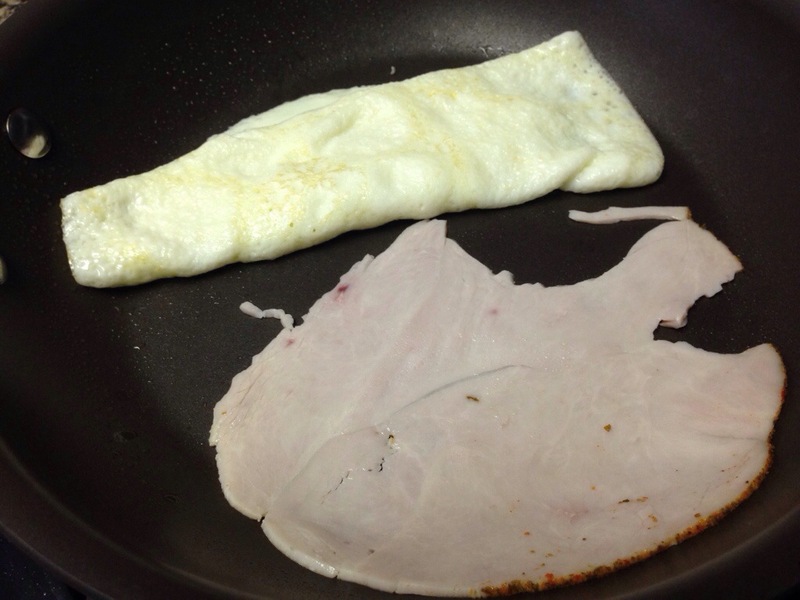 Fold the egg whites into an omelet shape using a spatula and add turkey to the pan. 5. Flip the eggs and turn off the heat. Cut the egg omelet in half with the spatula to fit it on your sandwich. 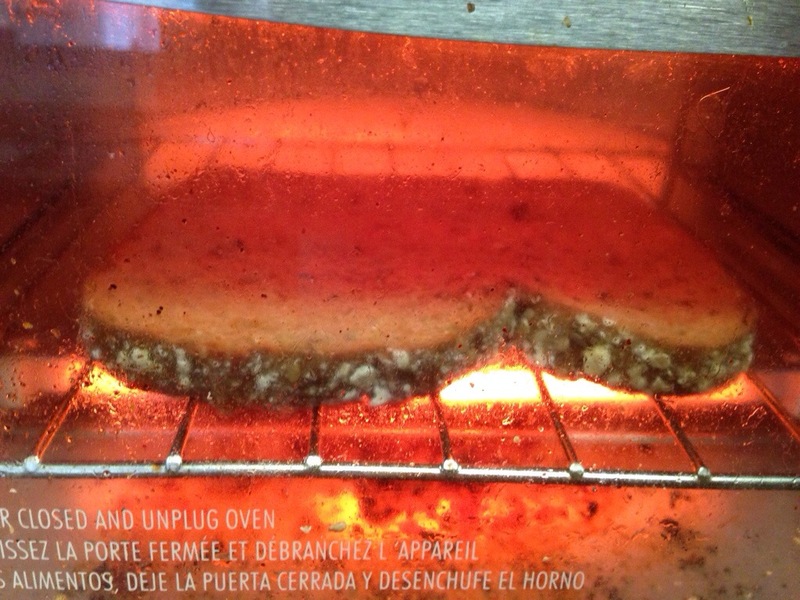 Remove bread and cheese from the toaster oven. 6. Layer Sriracha, eggs, and turkey on your sandwich and enjoy with a side of fresh fruit! 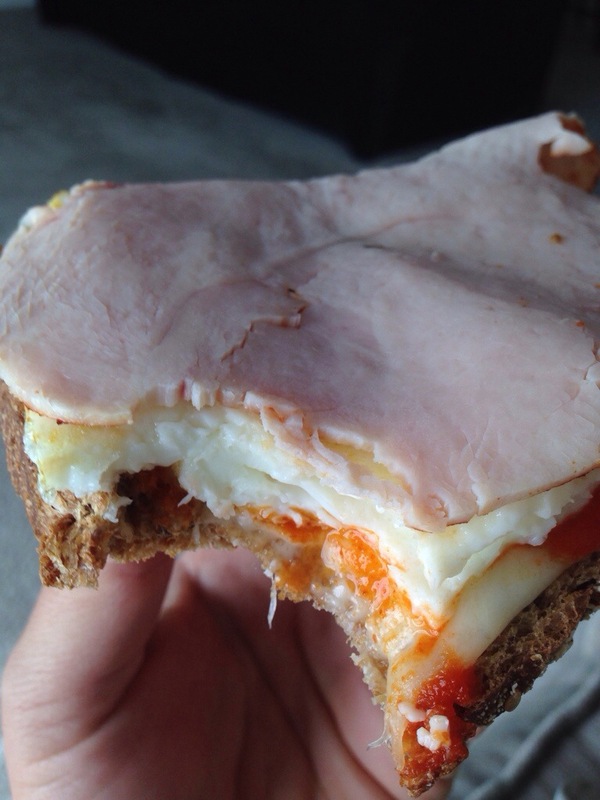 This sandwich is perfectly spicy, melty, eggy, cheesy, and toasty. I’d eat it breakfast, lunch, and dinner if I could!